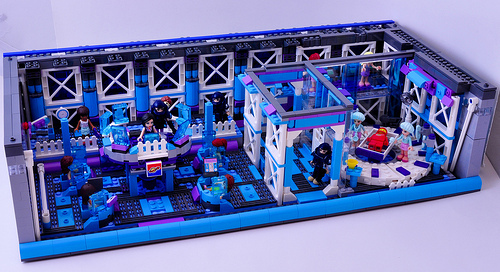 Simon Liu’s (Si-MOCs) Friends-themed space hangar is bursting with pastel shades of pink and blue. Its name FriendSHIP alone is worthy of a mention, a perfect pun. 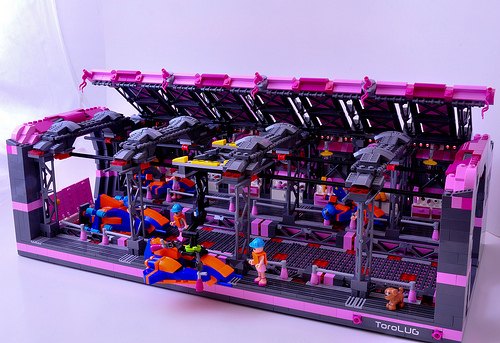 There’s also a third level by Isaac (Ricecracker.) that stacks with the other two to form a completed display.